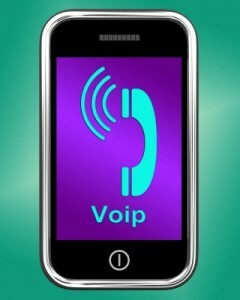 The Best Business VoIP APPS You Need Now! If you spend the majority of your day with your smartphone in hand making calls to clients, then you need to start saving yourself some money with some of the best business phone system VoIP Apps on the market. These Apps are not only cost-effective; they are a great complement for business phone systems. VoIP Apps for business equip companies big and small with video conferencing capabilities and a slew of other features. With so many VoIP telephones out there, it may be hard to pinpoint the one that makes the most sense for you and your staff. Let’s take a look at the more popular ones available today. · Skype – With over 30 millions users across the globe, Skype is probably the most widely recognized VoIP App in the world. You can’t beat all the features and of course the price – it’s free! Businesses can take advantage of Skype to conduct voice and video calls, video conferencing with clients or text messaging with staff for up to the minute updates. Skype has made managing business accounts even simpler with Skype Manager which allows them to track employee accounts and expenses. · Fring – Another free App for Android and iPhones is Fring. This popular VoIP App allows users to import contacts and boasts the highest video quality. Because it integrates well with a cell phone’s operating system, it relies heavily on the Wi-Fi connection. Although their DVQ (Dynamic Video Quality) is amazing, the audio and video quality has a lot to do with how good or bad the connection is. · Media5-fone – For businesses that need an App that links effortlessly with an existing phone system, Media5-fone is a great choice. Media5-fone easily integrates with many IP-PBX systems like Aastra, Avaya, Panasonic, Nokia-Siemens and Ericsson. · CSipSimple – For simplicity and no monthly charges, CSipSimple offers users easy access to all their colleagues and clients on their contact list. Staff will have an easy time using it because it resembles a typical phone.